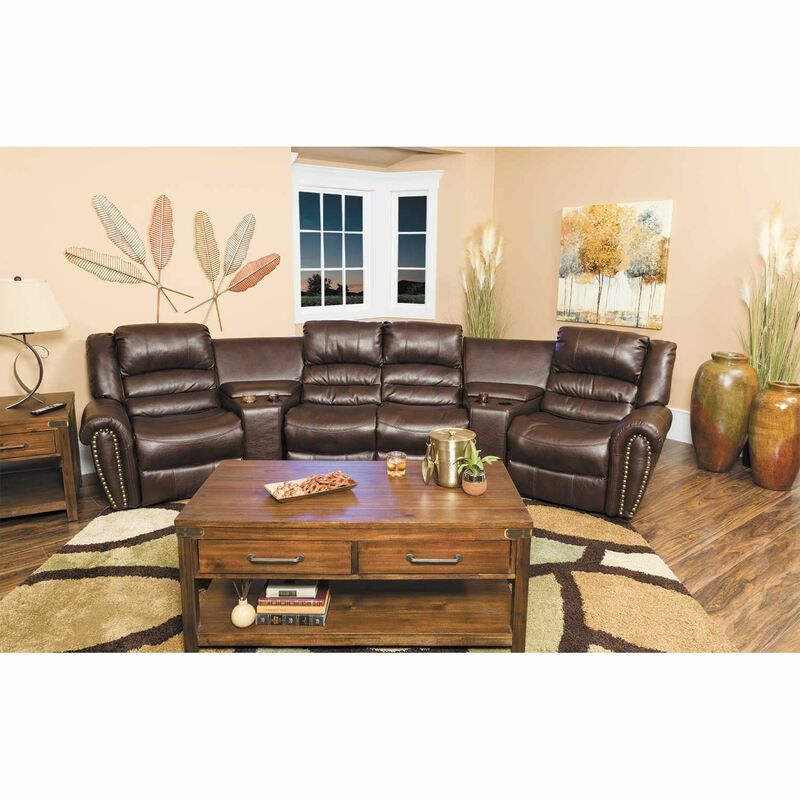 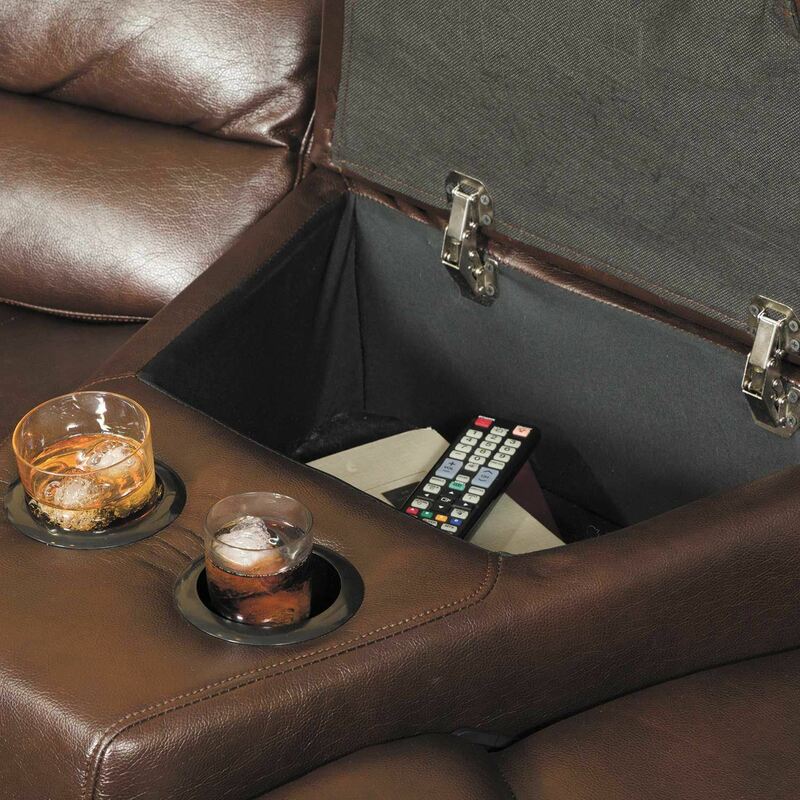 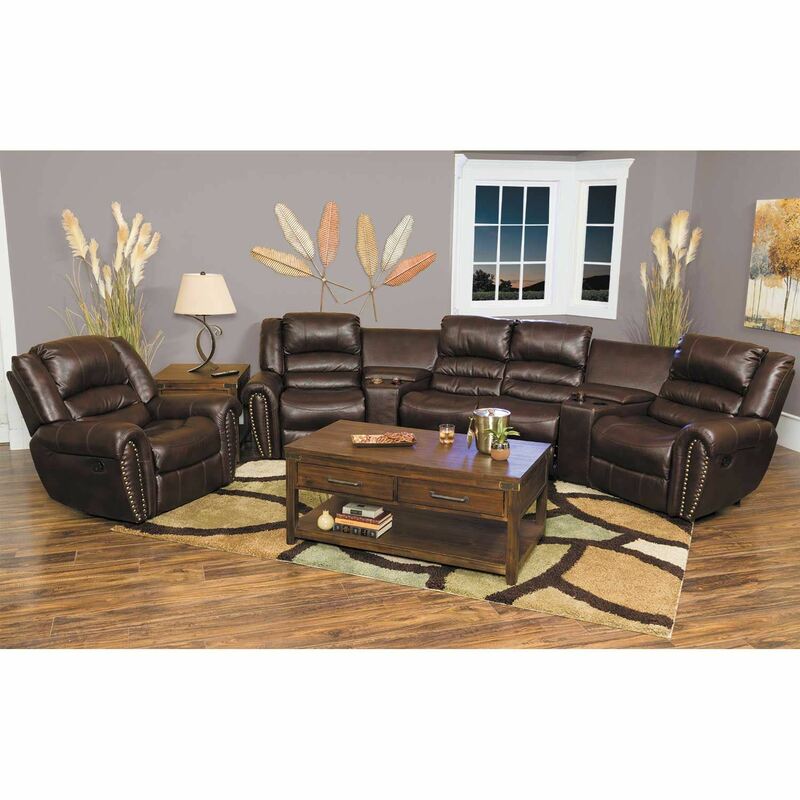 Brooks 5PC reclining gliding sectional in brown padded durahide with nail heads from Cambridge Home. Covered in a padded durahide fabric in a rich brown color. 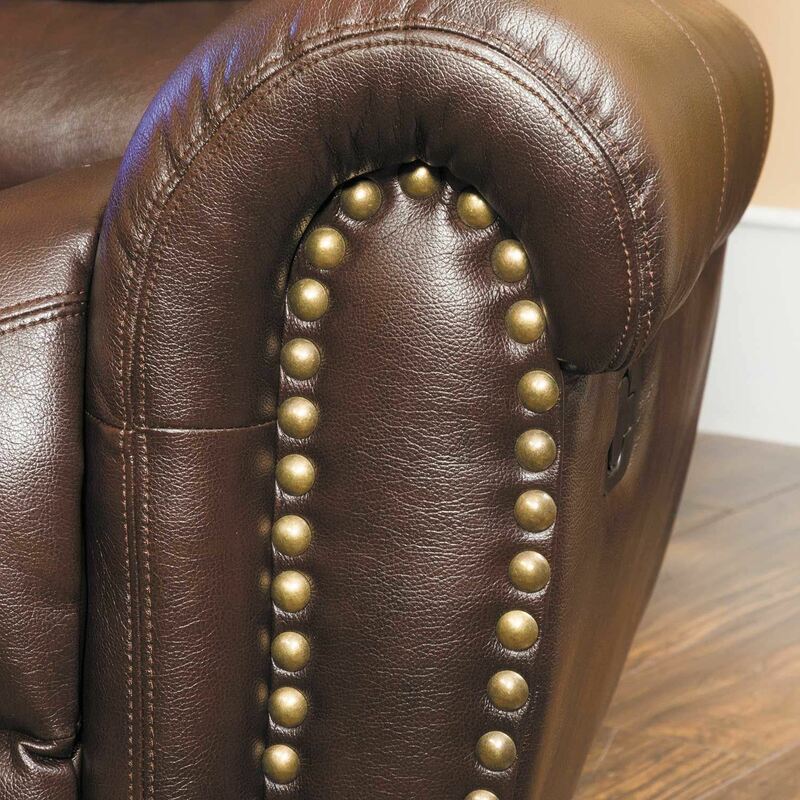 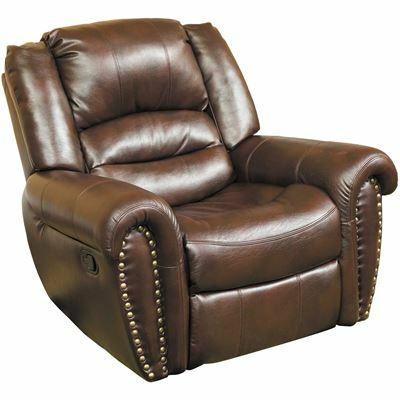 Features gliding motion and nail head accent trim adorning the arms. 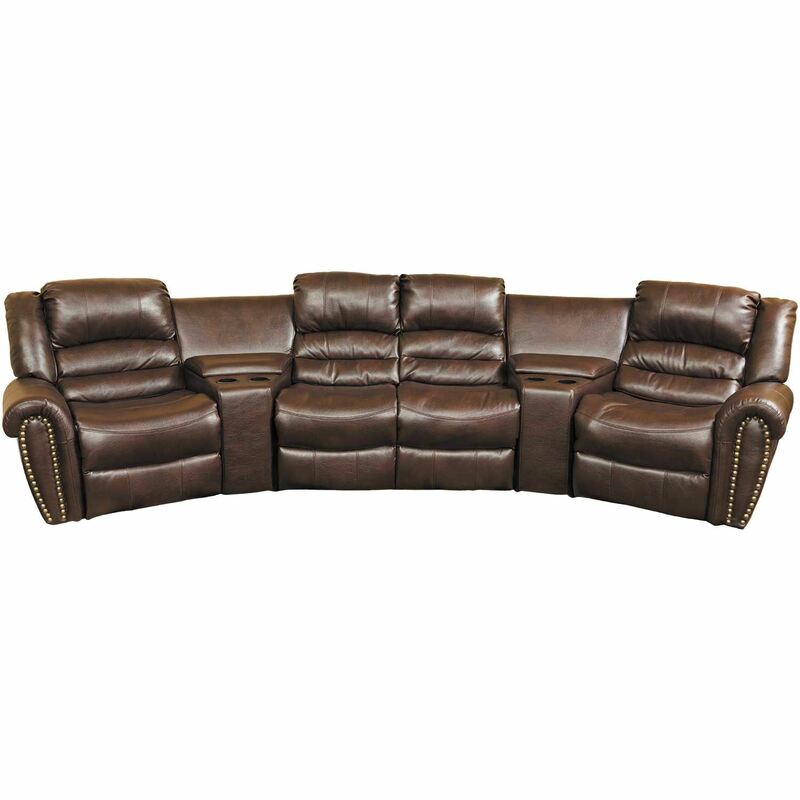 Includes 4 reclining seats, offering infinite comfort possibilities.